Note: This commentary was first published November 19, 2015 by The Boston Globe. That list of sins could be taken as a table of contents for the scandalous activities recorded in Gianluigi Nuzzi’s new book, Merchants in the Temple, a title taken from the Bible account of Jesus driving money lenders from the Temple court. Nuzzi is the journalist who received the “Vatileaks” from the papal butler, revealing the scheming and profiteering that occurred during Benedict XVI’s papacy. He demonstrates an equal access to secret documents and conversations in the papacy of Francis, which show a concerted resistance to papal efforts to make the Vatican bear at least some resemblance to Jesus, however remote. The official church is wealthy and poor because it always overspends itself. It lives on display, favoritism, and unaccountability. Its fourteen personnel agencies create honorary posts for clients who will be subservient to their patrons. This is as true of the Vatican State Department as of the Vatican banks. We know of the scandalous and money-laundering Institute for the Works of Religions — commonly called the Vatican Bank. But another money manager is equally unaccountable — the Administration of the Patrimony of the Holy See. Controversy about the official church has normally centered on doctrinal disputes, over things like contraception and abortion. These are seen as struggles for the mind of the church. Francis is more interested in the soul of the church. Does the church really speak from prelates’ posh apartments in Rome and from bishops’ palaces around the world? In our trips to Rome, my wife has given up entering St. Peter’s, since she cannot find anything like Jesus in that riot of celebration of the great papal families, with monstrous large statues of past pontiffs in all their ecclesiastical regalia. Jesus did not wear expensive chasubles and jeweled mitres (or any ecclesiastical garments). What Francis is engaged in is less a matter of theological dispute than a re-Jesusing of the church. If he fails, we have failed Jesus. 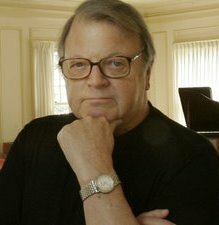 Garry Wills, a professor of history at Northwestern University, is the author of The Future of the Catholic Church With Pope Francis. 10/20/16 Pardon my tardiness in replying. I believe that we have advanced our understanding of Jesus. Current literature has shown me the way. And in advancing such understanding it opens up twenty-first century understanding of our evolutionary journey. Jesus and Christianity are ‘giant road signs’ of more to come. Michael Tomasello, A Natural History of Human Morality Harvard University Press Cambridge, Massachusetts 2016 page 3 tells us something to assist our response to the climate change and multifaceted global crisis that is upon us. --- is what propelled the human species from strategic cooperation to genuine morality.